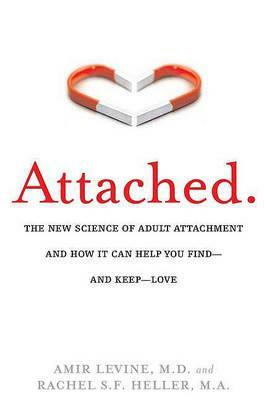 "Attached" guides readers in determining what attachment style they and their mate (or potential mates) follow. It also offers readers a wealth of advice on how to navigate their relationships more wisely given their attachment style and that of their partner. An insightful look at the science behind love, "Attached" offers readers a road map for building stronger, more fulfilling connections. -John Gray, PhD., bestselling author of "Men Are from Mars, Women Are from Venus"
"Amir Levine and Rachel Heller have written a very smart book: It is clear, easy to read and insightful. It's a valuable tool whether you are just entering a relationship with a new partner or-as in my case--even after you've been married 21 years, and had thought you knew everything about your spouse." -Mariette DiChristina, editor in chief, "Scientific American"
""Attached" is a fascinating and enormously useful guide to one of life's most important ventures-finding and sustaining a secure, satisfying love relationship. Based on twenty-five years of research, laced with vivid and instructive examples, and enriched with interesting and well-designed exercises, the book provides deep insights and invaluable skills that will benefit every reader." "Cinderella's prince passionately turned his kingdom upside down simply to find her perfectly shaped foot, and they lived happily ever after. This book is for the rest of us. Whether already in a relationship or prospecting, Attached is intended to coach the "you" part of "just the two of you." The authors have distilled years of attachment theory research on the nature of human relationships into a practical, highly readable guide, allowing it's users to prevent or untangle doomed relationships or predict and enhance those that will wear well and fit for a lifetime."